This is a modern and practical computer desk. It is fashion with smooth-lined design and simple style. 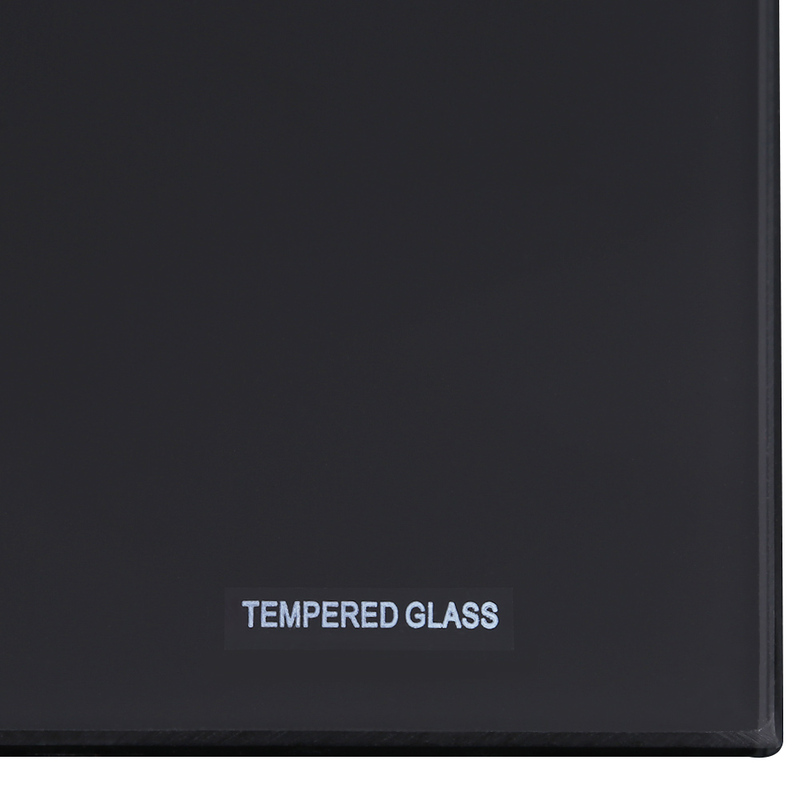 It applies height-quality metal tube and tempered glass, 100kg load-bearing, sturdy and safe to use. 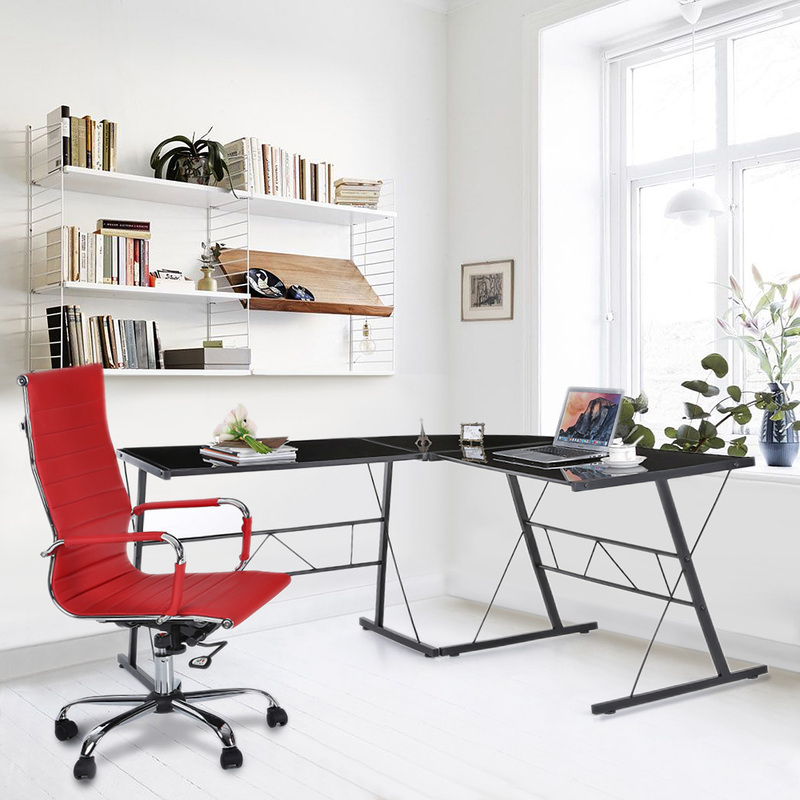 L-shaped design can also save space for your room/office. 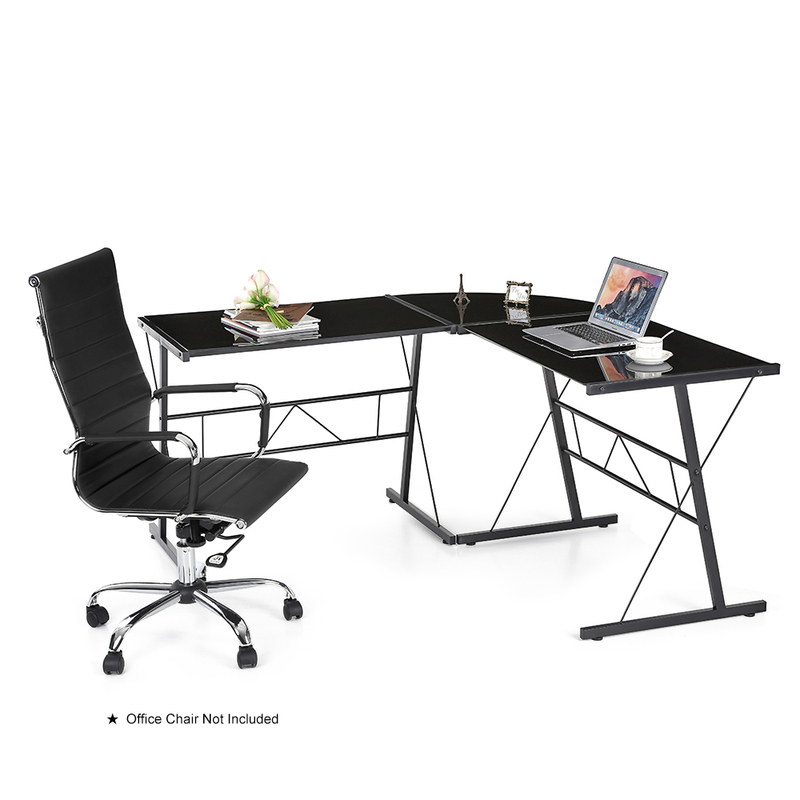 This computer desk will provide a cozy working area for you and easy to match with other furniture. Modern look, smooth-lined and fashion design. 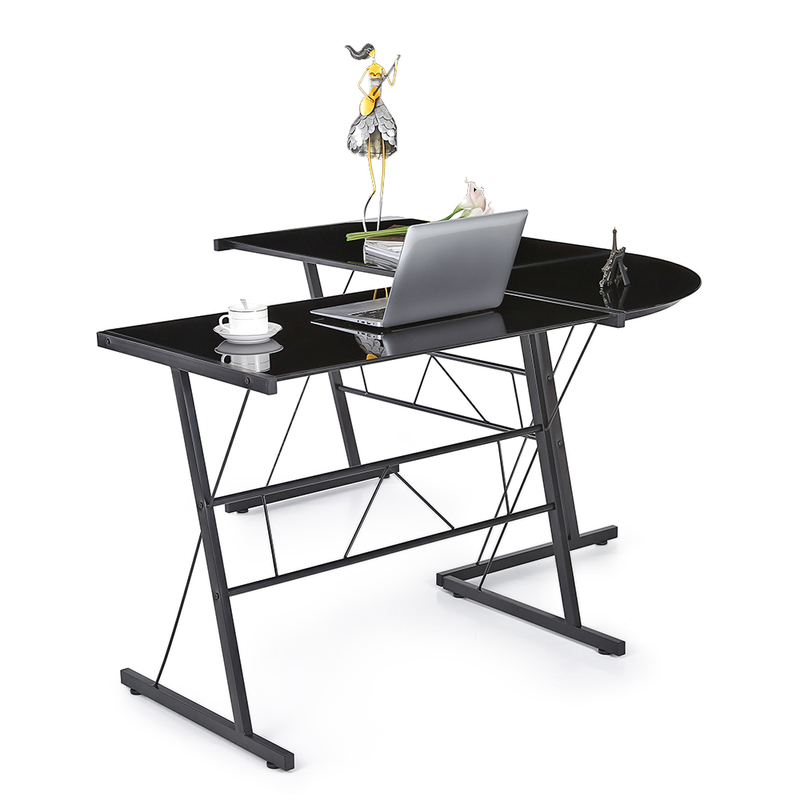 Powder-coated metal frame, safety tempered glass, durable & sturdy. Max.100kg load bearing to stand multi monitors, laptop, PC, desktop computer. L-shaped design for room's corner/limited place to save space. Easy to install, with middle area to storage PC case. 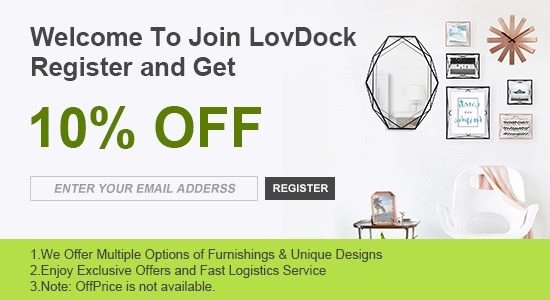 Provide a cozy and large working space for home or office use. 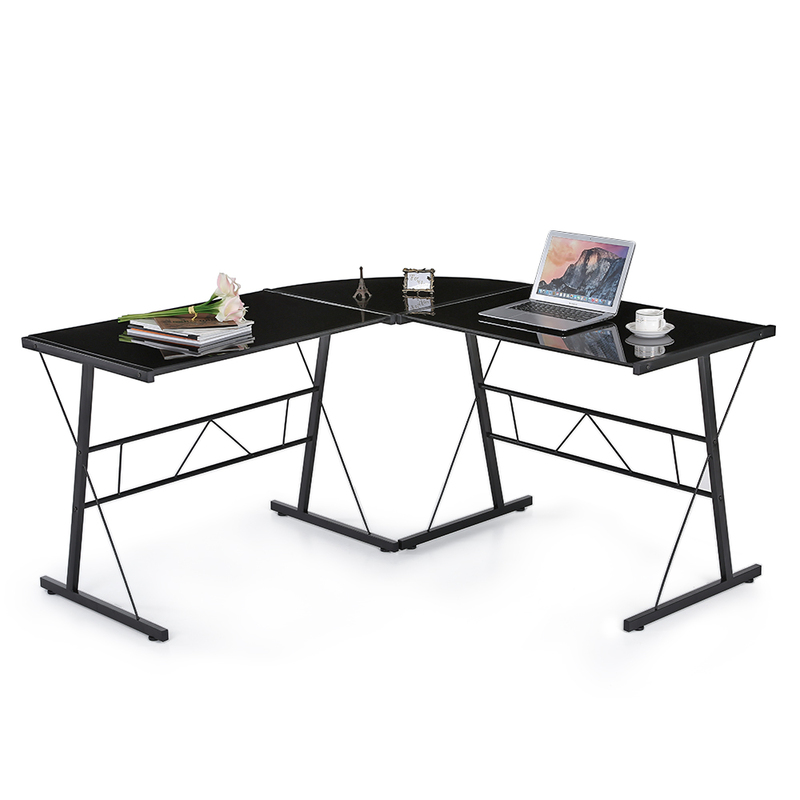 Our computer desk is delivered unassembled, it's easy to install and you can enjoy happiness of DIY a desk yourself. Love it. Its really big and great for my daughters gaming with all the consoles on. Good quality and sturdy. 5 star. Took me quite a while to set up and to build but the building is well worth the effort for the final result. Fits perfect into a corner and so does not take up too much floor space. Would recommend it to anyone!! 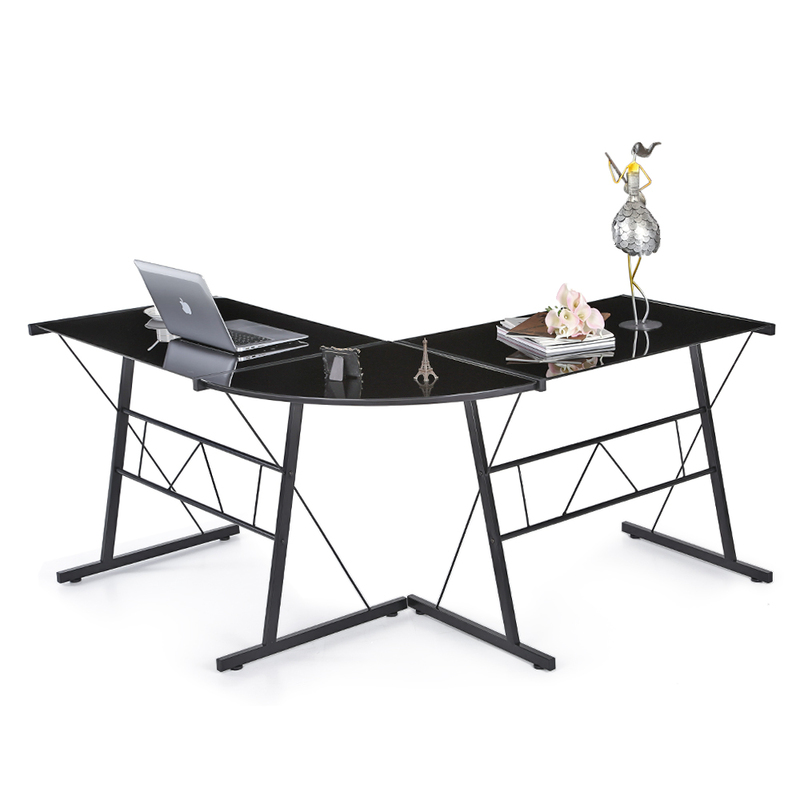 I got this desk mainly because it's black and I love it's design. I wasn't expecting of good quality for the price but I'm pleased by how strong the desk is. Easy to assemble, quick delivery arrived earlier than stated. Bigger than i thought it would be, which is great! Instructions were clear. Perfect desk for gaming. I love it. Would strongly recommend this to others! I was looking forward something that was sturdy, unobtrusive but good looking enough to fit in as a piece of furniture.I'm really glad I decided to get this desk table.It is the one! I was really full motivated to meet my new wonderful desk. Extremely easy to assemble. All tools required are packed with the kit. Looks pretty decent and fit my house greatly. I'm really pleased with it. Definitely worth 5 stars! It's a nice desk. Looks amazing! I give +5 to the packaging. It was packaged very securely to prevent damages during the transportation. Instructions were easy to follow for the desk setup. Overal it's a great desk for work and gaming. Highly recommend!! Great desk looks really smart my son loves it. Easy to put together and fast delivery. Definitely would recommend. 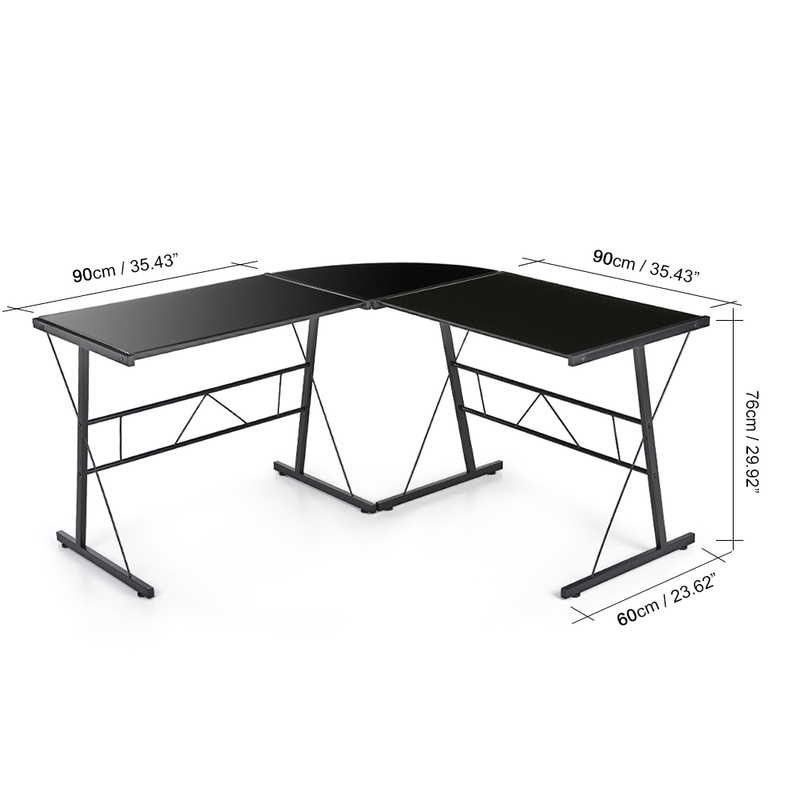 If your looking for a nice cheap desk then this will probably work great for you. I probably wouldnt recommend this for anyone who is planning on using more then 2 monitors. 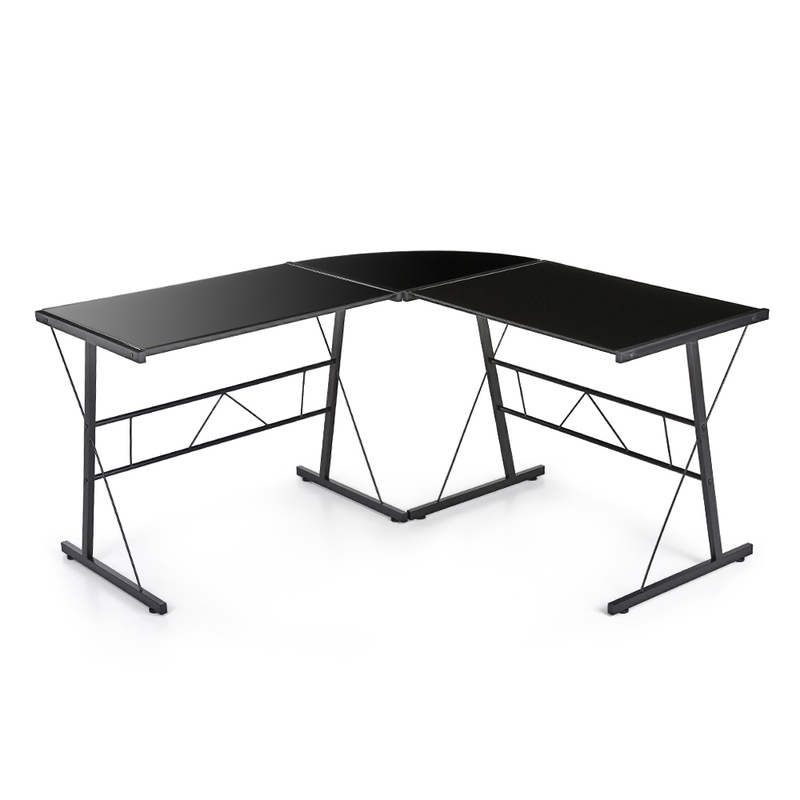 The quality of the desk isnt bad, seems to be pretty sturdy and it was easy to assemble. Omg so so happy w this desk. Perfect price, perfect set up and quick delivery.